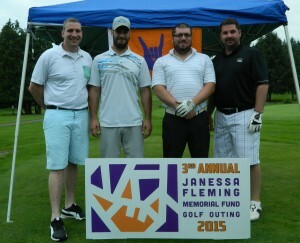 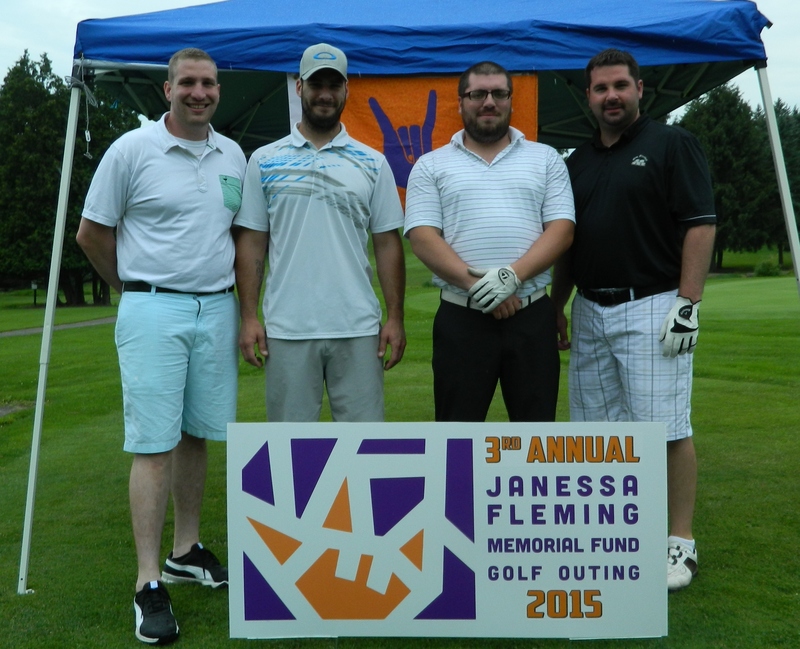 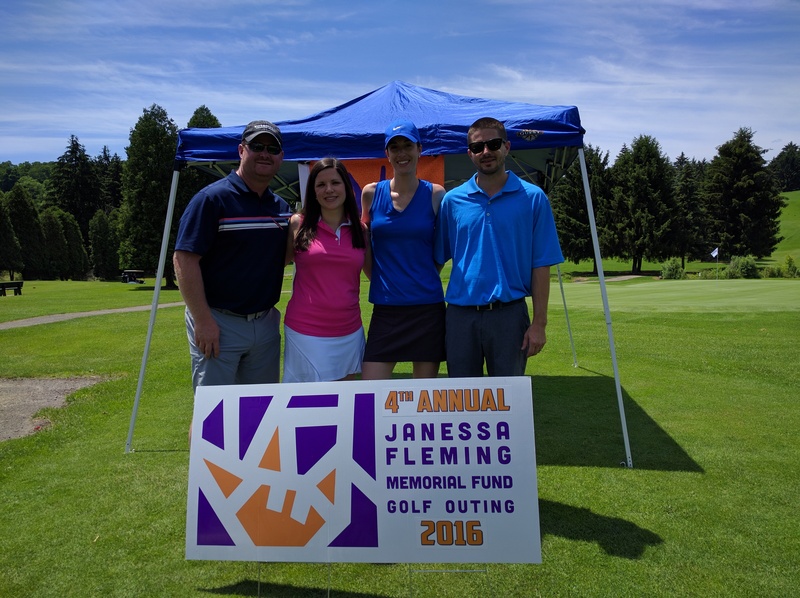 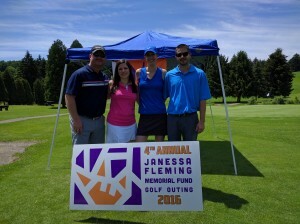 The 5th annual Janessa Fleming Memorial Fund Golf Outing was held on June 10, 2017. 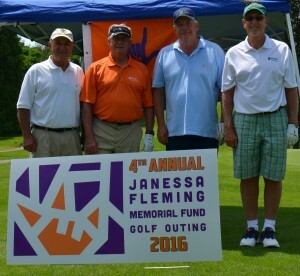 A great day was enjoyed by the golfers at the Meadow Lane Golf Course. 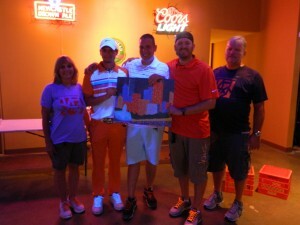 Nearly 50 baskets were raffled off and golf prizes were award at the after-party held at Twisted Jimmy’s. 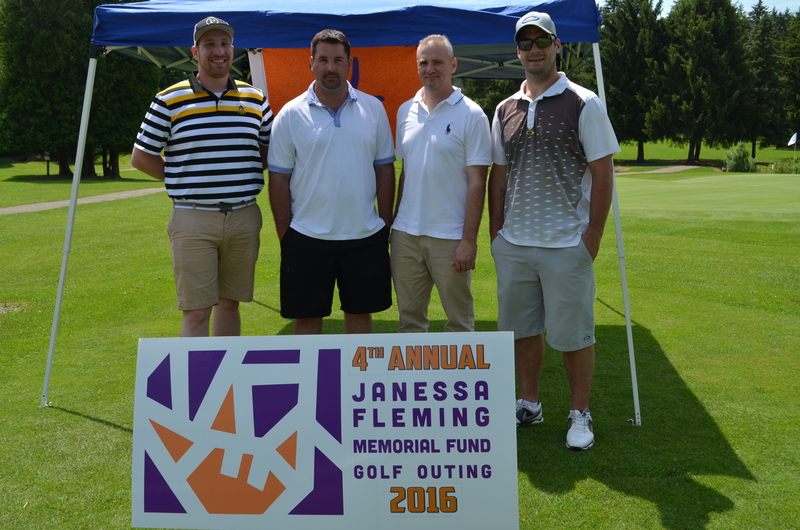 The 4th annual memorial golf outing was held on June 18, 2016. 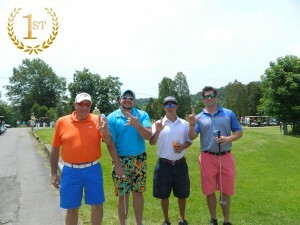 The golfers enjoyed a great day at the Meadow Lane Golf course in Indiana, PA and the after party/basket raffle was held once again at Twisted Jimmy’s also in Indiana, PA. Over 50 baskets were raffled off at the event. 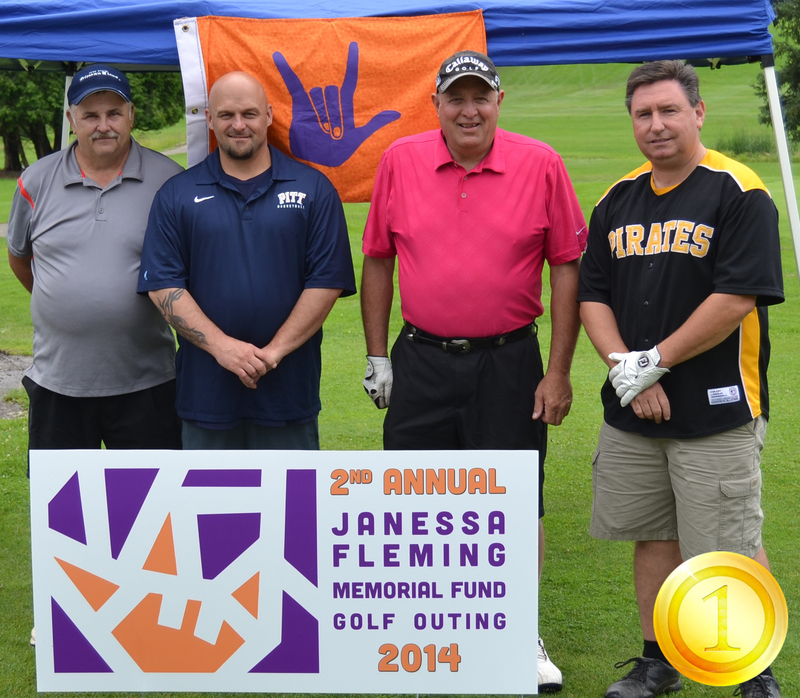 On June 20, 2015, we held our third annual memorial golf outing at Meadow Lane Golf Course in Indiana, PA. Like last year, the after-party/basket raffle was held at Twisted Jimmy’s also in Indiana, PA. We had 54 basket winners!! 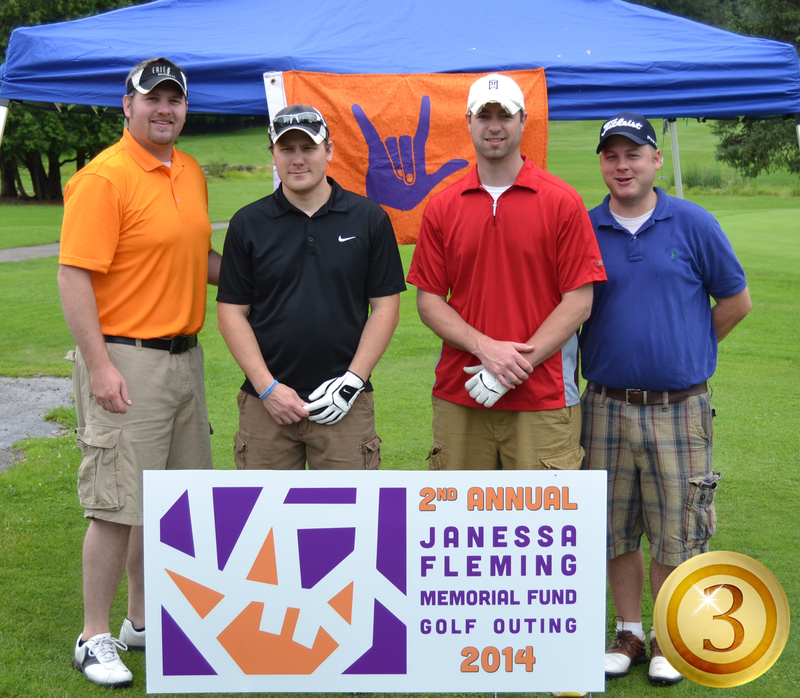 The winners of the Skills competition are listed below with the course hole number preceding the skill that was won. 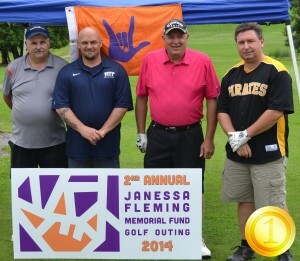 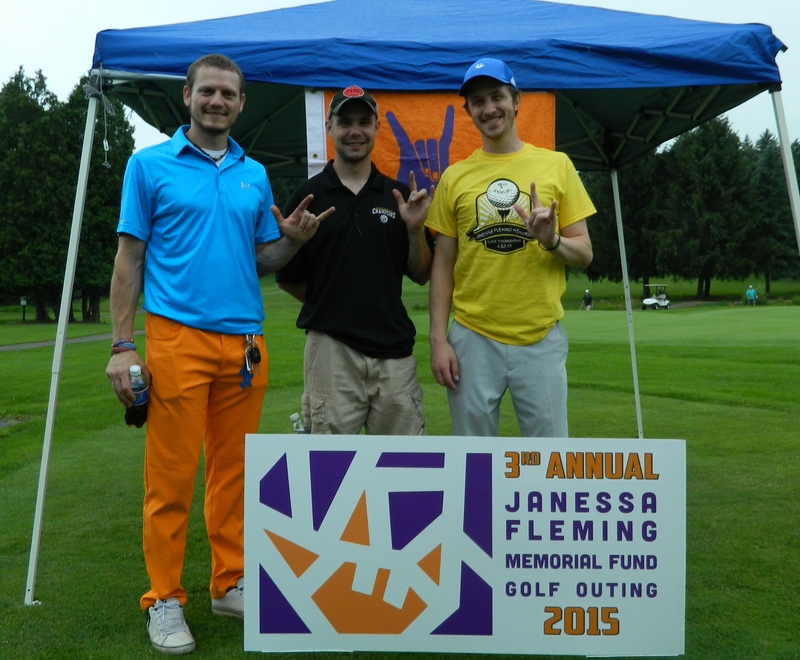 On June 21, 2014, we held our second annual memorial golf outing at Meadow lane Golf Course in Indiana, PA. The after-party was held at Twisted Jimmy’s also in Indiana, PA. 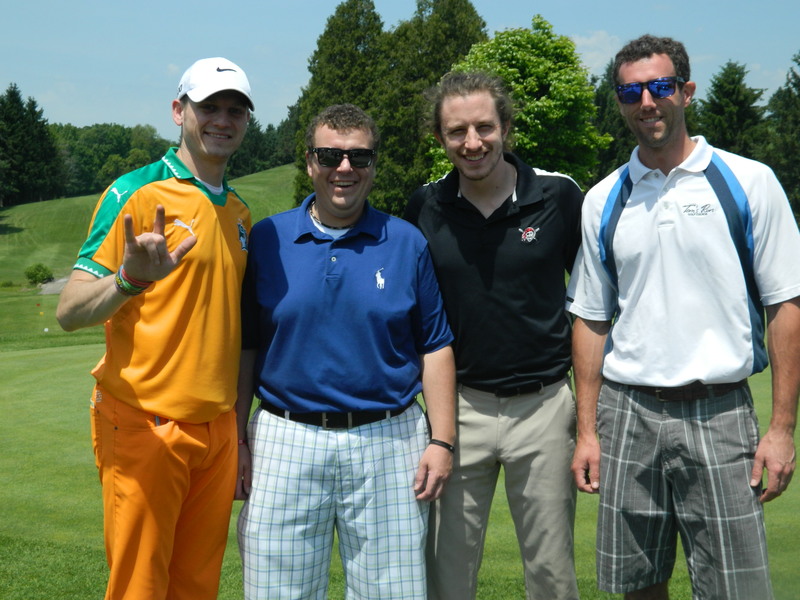 The Skins game was won by Matt Spangler, Nate Morrow, Seth Tassos and Andrew Clevenger with an Eagle on Hole #13. 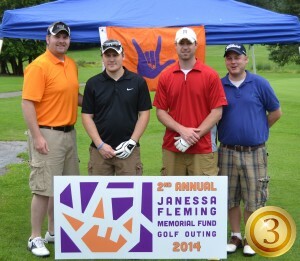 On June 22, 2013, we held our first annual memorial golf outing with great success. 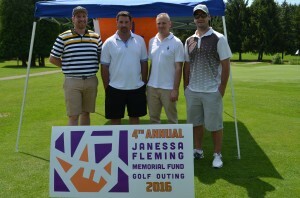 The outing was held at Meadow Lane Golf Course in Indiana, PA, and an after party was held at Twisted Jimmy’s, also in Indiana, PA.
For all his hard work in helping to make the first annual Janessa Fleming Memorial Golf Outing a success, Janessa’s family presented Tony Lang of Steel City Samiches/Twisted Jimmy’s with a copy of artwork created by Janessa. 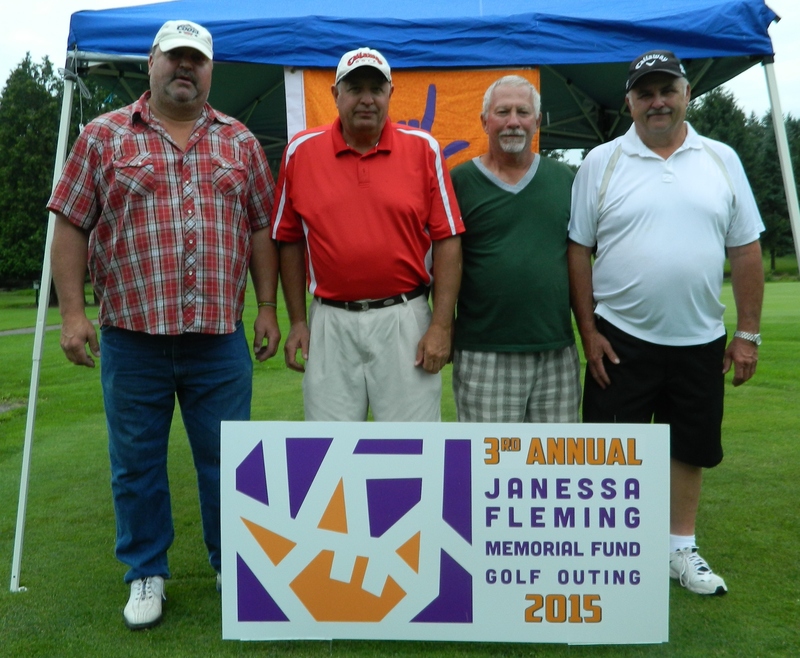 Pictured from left to right are Paula Fleming (mother), Dustin Fleming (brother), Tony Lang, D J Fleming (brother) and Randy Fleming (father). 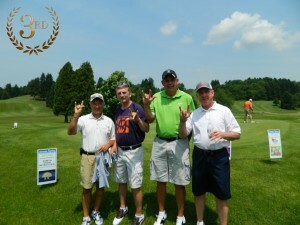 Along with the overall winners there was also a skills competition. 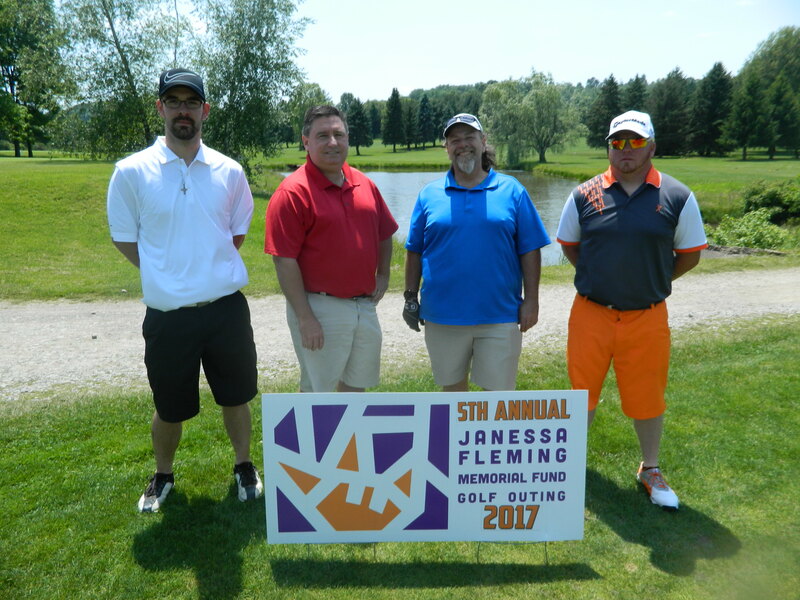 Winners are listed below with the number preceding the winners names referring to the hole that the competition was held on. 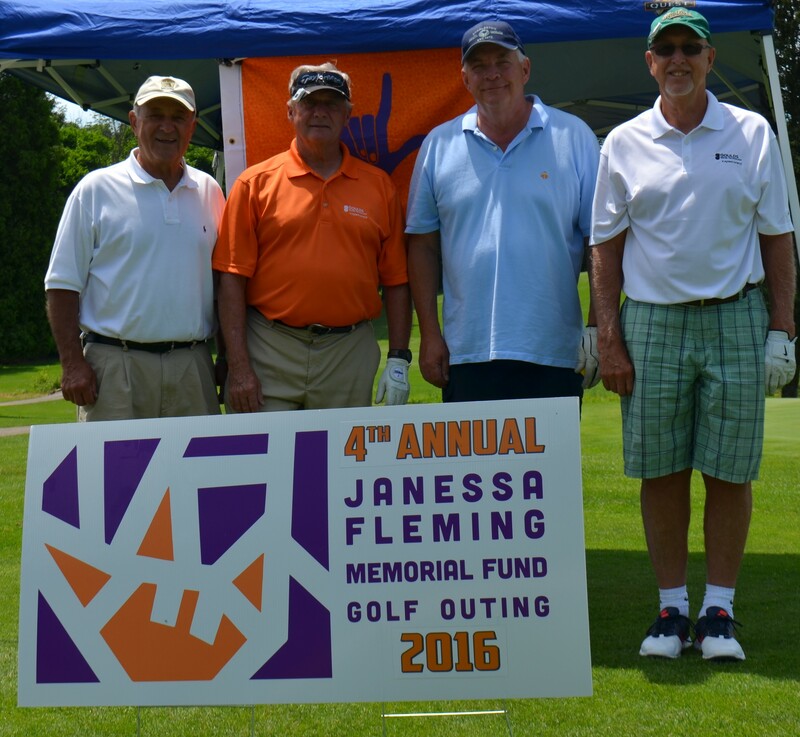 Coming in third in the overall competition were Joe Nease, John Wodowski, Frank Smithula, and Don Dettore. 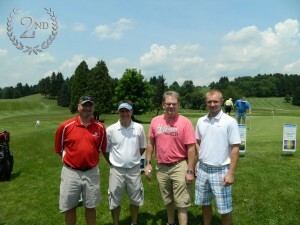 Finishing in second place were Jeff Kokolis, Greg Stokes, Jimmy Dickie, and Jon Higbee. 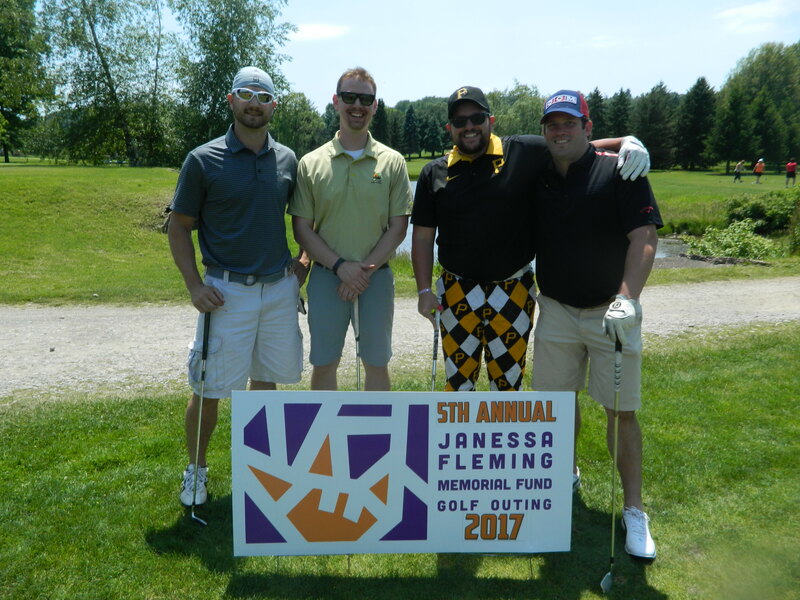 The first place finishers and winners of the overall competition were George Wida, Zach Diamond, Alan Kuckuck, and Jordan Haines. The winners are pictured below.